If you’ve never stayed in a hostel, it’s definitely an experience worth trying. Unlike hotels, motels, or rented apartments, hostels offer a lot of unique advantages. Many people simply think that hostels are cheaper, but that’s only one of a long list of benefits. For example, the fact that hostels use communal sleeping and eating areas encourages the guests to share their experiences with each other, make new friends, forge fresh bonds, and even explore the local area with their newfound companions. Many modern hostels also feature a wide variety of rooms and convenient services like easy internet access and kitchen facilities. London is one of the best cities in the world in which to book a hostel. The United Kingdom’s capital city is an immensely popular tourist attraction, drawing in tens of millions of visitors from all around the planet each and every year. Many international guests prefer to stay in hostels in order to enjoy simple comforts and the opportunity of meeting fellow travelers. London is a beautiful city with a lot to see, but many of its attractions, eateries, and even public transport systems can be quite expensive, so booking a hostel is a smart way to travel to London as it allows you and your traveling party to save some cash. London is one of the most developed cities in the world, with a lot of competition in every industry, including the world of hostels. As competition increases, hostels have to offer better service and more amenities. This means that London’s hostels are among the very best in Europe, providing comfortable rooms and lots of options for all their guests. Here are some important details on the top London hostels. Right by the Russell Square tube station, Smart Russell Square Hostel is a simple but comfortable location near several London attractions. Featuring free Wi-Fi, 24-hour reception, a fully-equipped common room, secure lockers, laundry room, and continental breakfasts, this hostel has all you need to enjoy your London stay. It's also right by several popular attractions like the British Museum and British Library and offers some of the lowest rates of any London hostel. Rooms at Smart Russell Square Hostel are simple but cozy and if you’re looking for a budget option in a great location, it’s hard to find anything better than this. Only a short walk from King's Cross, one of the major train stations of the city, Generator Hostel is another excellent spot to begin your London adventure. With a bar, restaurant, laundry room, internet cafe, games room, and lounge area, this extensive hostel provides a myriad of amenities and areas for you to hang out and get to know other travelers. Live entertainment can also be enjoyed each night in the Generator Bar, and free tours of the city can be reserved from the 24-hour reception desk. Room options include private twins, triples, and quadruples with shared bathrooms, as well as mixed-gender dorms with up to ten beds. Literally right on the doorstep of the British Museum, Astor Museum Hostel is perfect for people who want to check out London's key educational locations. 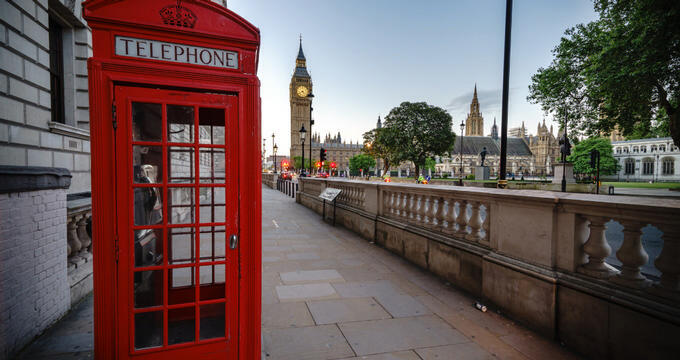 It's also right by the Holborn tube station, offering easy access to the rest of the city and other big attractions like Big Ben and Hyde Park. Offering simple, comfortable rooms with good quality bed linen and clean bathrooms, Astor Museum Hostel also provides high-speed Wi-Fi free of charge to all guests. A laundry room and terrace can also be found at this location, along with a 24-hour reception desk with friendly staff to offer guidance and recommendations for your trip. Located in a super central location with easy access to many London attractions, YHA London Central is a super place to stay if you're looking for affordability and convenience. You can be at any major attraction or monument within a matter of minutes from this hostel, with the Regent's Park tube stop less than 10 minutes away by foot. The staff are very friendly at this hostel, which offers both dormitories and private rooms, as well as an on-site cafe and bar providing a good selection of snacks and meals. A computer room is also available for guests who want to browse the web or send some emails, and there are family rooms for travelers with children too.